Songs from the Big Chair is the second studio album by the British rock/pop band Tears for Fears, released on 25 February 1985 by Phonogram Records. The album peaked in the UK and number one in the US and Canada. It spawned the international hit singles "Mothers Talk", "Shout", "Everybody Wants to Rule the World", "Head Over Heels", and "I Believe". 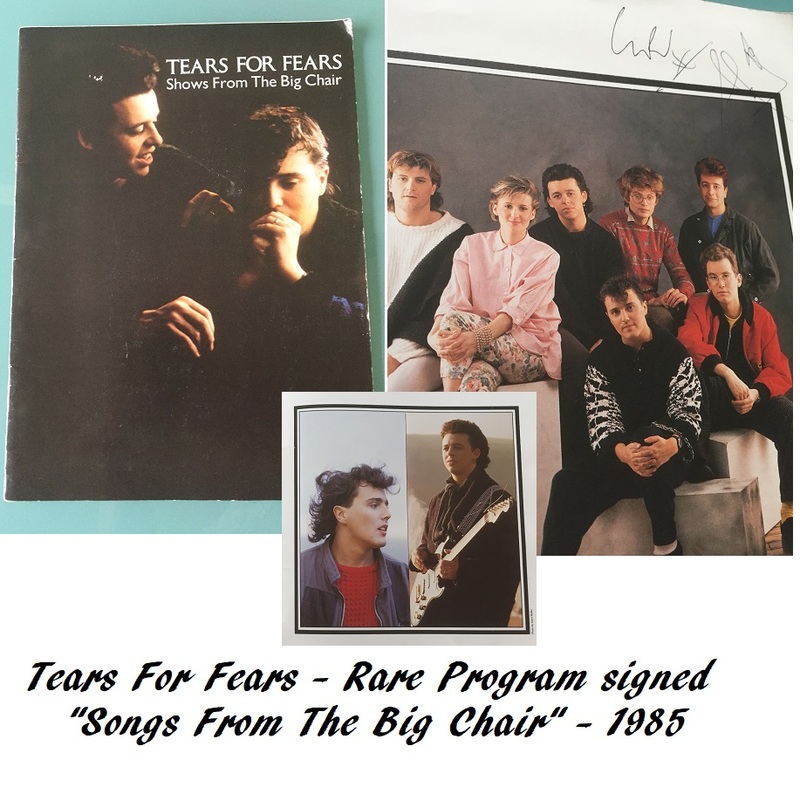 This program is from the 1985 Tour "Songs from the Big Chair". In Excellent condition, with many vibrant colour photos inside. Large 13" x 10" souvenir size. Obtained during "Songs from the Big Chair" tour in 1985.